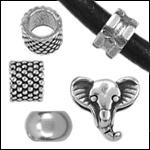 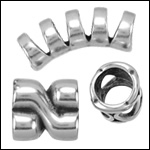 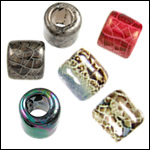 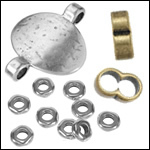 Wholesale metal sliders and beads for all sizes of round leather cord. 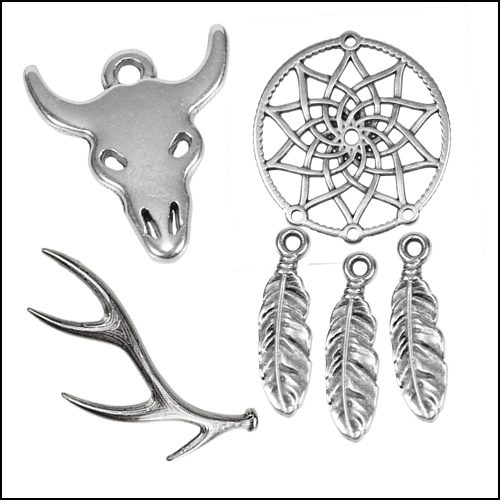 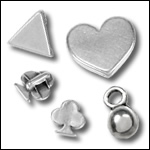 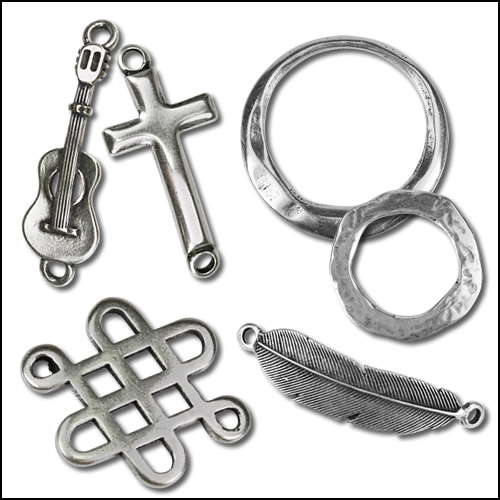 These can be combined in an infinite variety of ways to create jewelry designs with round leather. 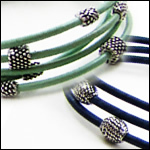 Try adding o-rings to hold the sliders in place and add a pop of color! 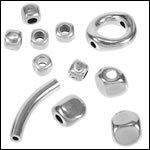 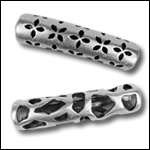 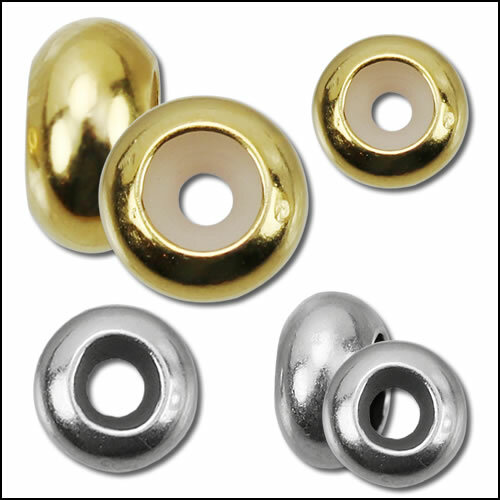 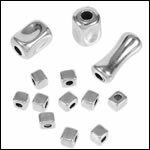 All leather sliders and beads are made in the European Union of high quality zinc, then electroplated with brass, copper, gold, or 99.9% sterling silver. 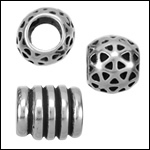 The ceramic beads are also hand-made in the European Union.